Say "Aloha" to your personal paradise! Let us pamper you all day in your private cabana. Cabanas are great family meeting places and the perfect way to treat that special someone. Become a Season Passholder and get 15% Off Cabana Rentals! Private cabanas are located throughout the park by the lazy river, wave pool and Mega WaterWorld. All day drink wrist bands may be purchased for $5/person. Cabanas must be reserved at least 48 hours in advance. When booking, please specify your preferred cabana location. Locations are subject to availability. 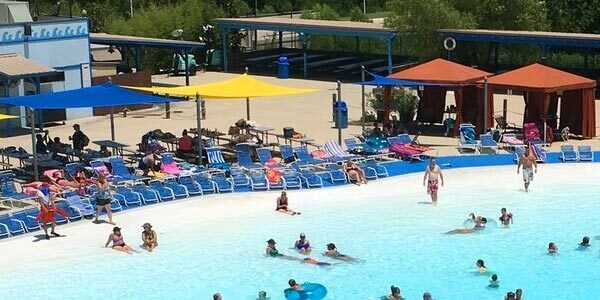 Hawaiian Falls asks that all guests renting cabanas arrive by 12:00 p.m. Your cabana may be rebooked if you fail to notify the park of a late arrival. Plans can change and we are more than happy to work with you to reschedule your reservation.